I was recommended this book after a talk I gave about multiple religious belonging, and although it isn't about that at all, there are some points of connection. 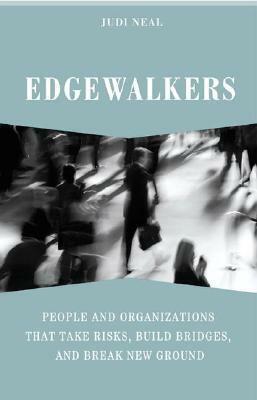 The Edgewalkers of the title are considered mainly in the context of traditional businesses (organisations who make and sell things, mostly), and although spirituality, in forms varying from the slightly New-Agey to the full-on Woo, is a key theme, there's no sustained analysis of religion. Some of the observations about organisations will also apply to faith communities (the descriptions towards the end of the book of Doomsayers, Placeholders, and Flamekeepers, and their conflicts with Edgewalkers, rang very true in this respect), but other aspects are more problematic to the scholar of religion. The unexamined uses of 'vision quests' and some other quasi-Native American ideas are morally problematic, for example, and the conflation of all religions and spiritualities with each other and often with culture, too, means that this aspect of the book lacks a rigour which seems to be there in other places (for example, in sections about business theory). An interesting read - I'm enough of an Edgewalker to enjoy something like this which is well outside my usual field - but not revolutionary for me.